The county manager’s work includes the development of the county’s annual budget. The budget is the policy document, financial plan, and operations guide and communications device of county government. It reflects the county’s response to the needs of the community and residents’ requests for services. 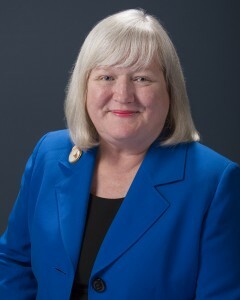 In addition, the manager and his executive leadership team are responsible for aligning the operations of the County to the adopted strategic plan and advancing the County’s mission and vision through five key focus areas: superior public health, safety and education, intelligent growth and economic development, productive strategic partnerships, strong financial performance, and effective county management. Coudriet has more than twenty years of public administration experience, with more than a decade as a county manager in North Carolina. 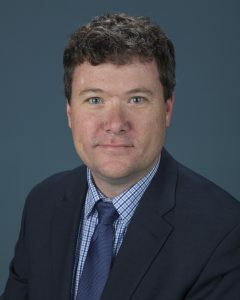 He has a Bachelor’s of Science Degree in Urban and Regional Planning from East Carolina University and a Master’s Degree in Public Administration from the University of North Carolina at Pembroke. He is a native of eastern North Carolina. Chris and along with his wife, Leigh, and two children Montgomery, and Silas, reside in Wilmington. Tim Burgess began serving as an assistant county manager for New Hanover County in July 2012. 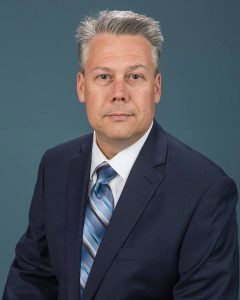 Tim’s position includes management oversight of Cape Fear Museum, Cooperative Extension/Arboretum, Emergency Management/911, Engineering, Environmental Management, Fire Rescue, Public Library, Parks and Gardens, Planning and Inspections, and Soil and Water Conservation. 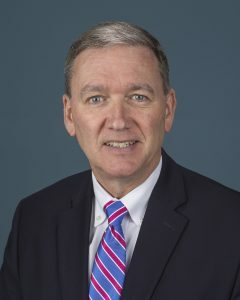 Prior to coming to New Hanover County, Tim served as the assistant county manager for Alamance County and town manager for the Town of Wendell. Tim also practiced criminal and family law in Montgomery, Alabama. Tim earned his Juris Doctor from Faulkner University and his Bachelor and Master degrees in Business Administration from Campbell University. Tim resides in Wilmington with his wife Joy and daughter. Avril Pinder was named deputy county manager in 2015, after serving as an assistant manager and finance director. She began her years of service in the New Hanover County Finance Department in January 2006. Her duties include the oversight of nine departments: tax, information technology, property management, community justice services, finance, senior resource center, health, social services and the elections office. Originally from Barbados, Avril received her undergraduate and Master of Business Administration degrees from Delaware State University. 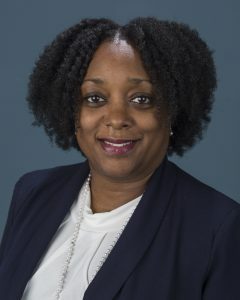 She is a Certified Public Accountant, and a member of the North Carolina Certified Local Government Finance Officer and the North Carolina City and County Management Associations. She is also a Credentialed Manager by the International City/County Management Association. While serving as finance director in 2012, Avril obtained the county’s first triple-A bond rating. Under her leadership, the highest bond rating possible was achieved again in 2013 and 2015. Avril is active in her church and youth soccer, and she serves on The Carousel Center’s Board of Directors and the Wilmington Hammerheads Youth Board. She previously served on the United Way of the Cape Fear Area Board of Directors. Avril was selected in 2015 as a “Woman to Watch” in the public sector category by Wilma Magazine. She was selected from nearly 300 nominations submitted for area women excelling in their fields and poised to have a leadership impact in the coming years. 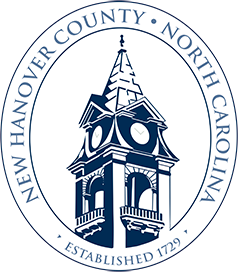 Beth Schrader, Chief Strategy and Budget Officer, joined New Hanover County in 2007. In her current role, she has responsibility for policy development, strategy formulation and execution, and the administration and preparation of a more than $300 million budget. Beth ensures the county’s allocation of dollars and policy formation are aligned with the county’s strategies. She previously served as strategy and policy manager and senior budget analyst. Prior to joining New Hanover County, Beth spent nine years in research and development with Procter and Gamble in the United States, Japan, and China developing innovative products and markets. She also spent three years at Lehman Brothers. During her years with New Hanover County, Beth has worked on a number of initiatives including the consolidation of county and volunteer fire services, expansion of water and sewer services along U.S. Highway 421, and the development of the county’s strategy map. Beth also holds eight U.S. patents. Beth has a Bachelor of Science degree in Chemical Engineering from Clarkson University and a Master’s Degree in Business Administration in Finance from Cornell University. She is a member of several honor societies, including Tau Beta Pi, Phi Kappa Phi, and the National Merit Honor Society. In her free time, Beth enjoys anything related to the arts and outdoor activities, including fly fishing and hiking.